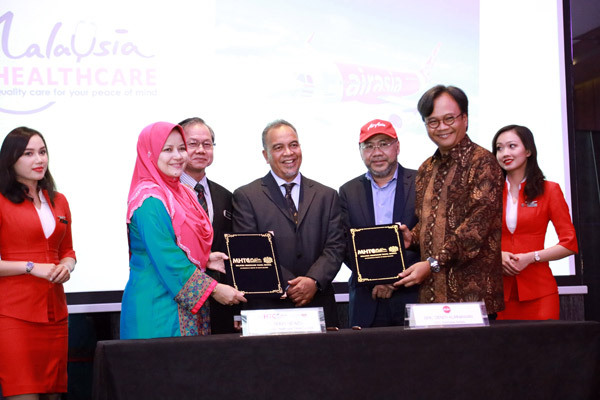 MHTC will arrange medical tourism trips including doctor and hospital appointments, as well as airport pick-up services, for Indonesian passengers of AirAsia visiting Penang for medical treatment. AirAsia will provide exclusive flight discounts to MHTC customers, while AirAsia guests with prearranged appointments made through MHTC will also enjoy additional benefits at participating hospitals, including up to 20 per cent discount on the medical check-up and non-medical bills, as well as in selected F&B outlets simply by showing their boarding pass. “Penang receives around 60 per cent of Malaysia’s healthcare travellers and in 2017 alone, the state’s healthcare travel industry generated half a billion ringgit (US$121 million) in revenue. Among the medical fields that Penang is known for include cardiology, orthopaedics, oncology, neurology, in-vitro fertilisation, ophthalmology and dentistry.